The Every Student Succeeds Act (ESSA) is the most recent reauthorization of the Elementary and Secondary Education Act and replaces the No Child Left Behind Act (NCLB). The law focuses on using research evidence to improve teaching and learning and at the same time passes considerable authority from federal to state policymakers. This means that responsibility largely falls on states and localities to effectively make sense of and use research evidence in their decisions around school improvement, teacher preparation, principal recruitment, and family engagement. 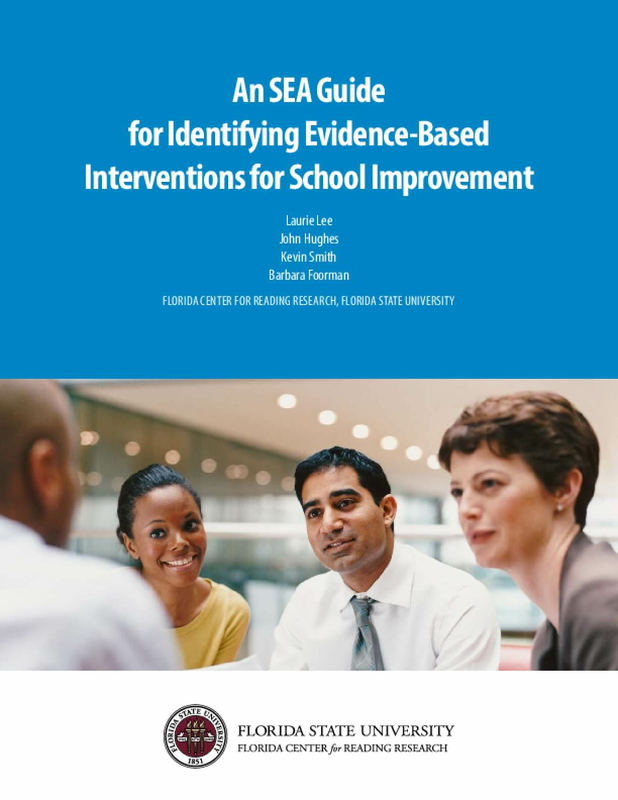 With support from the Annie E. Casey Foundation, Overdeck Family Foundation, and the William T. Grant Foundation, the Florida Center for Reading Research (FCRR) has developed Guides for Identifying Evidence-Based Interventions for School Improvement. Copyright 2016 by Florida Center for Reading Research at Florida State University. All rights reserved.